One of my favorite German dishes is called Rouladen. 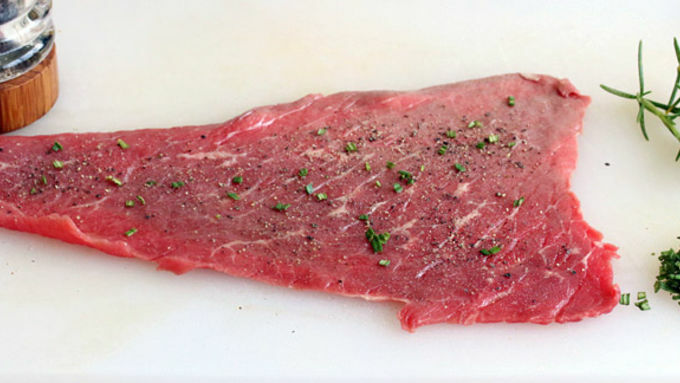 Tender strips of beef are smeared with mustard, strewn with salt and freshly ground black pepper, and stuffed with onions and bacon, then rolled up, pinned with toothpicks, fried until browned, and simmered in a delicious gravy. This dish is an Italian-inspired version. 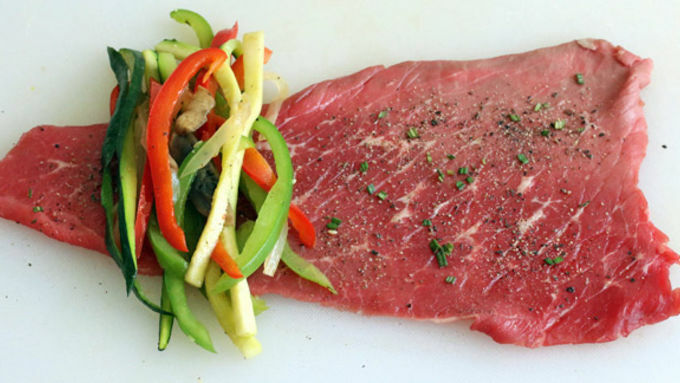 Tender cuts of beef are rubbed down with olive oil, freshly ground black pepper and chopped rosemary, then stuffed with strips of sautéed bell peppers, onion, zucchini, and mushrooms. 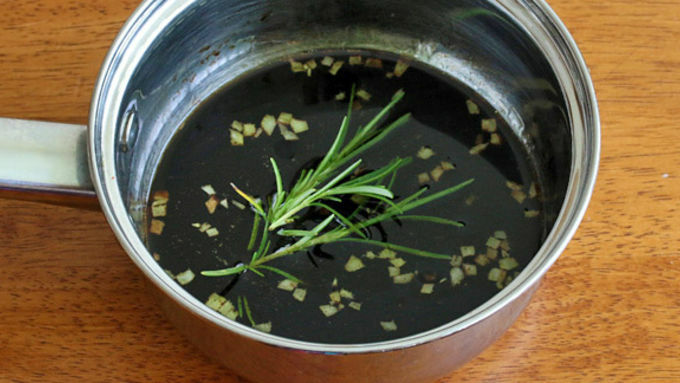 They're rolled up, grilled, and then drizzled with a balsamic vinegar glaze that is infused with garlic, fresh rosemary, and a touch of brown sugar. The result: molto delizioso! 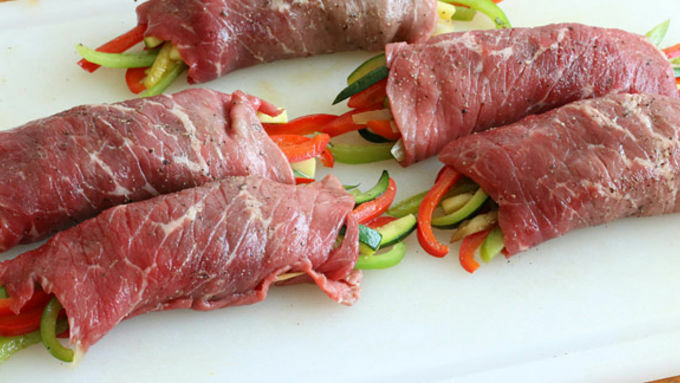 These rolls are quick to assemble and prepare once you have the prep work of chopping the vegetables and making the glaze done, both of which can be performed hours in advance. 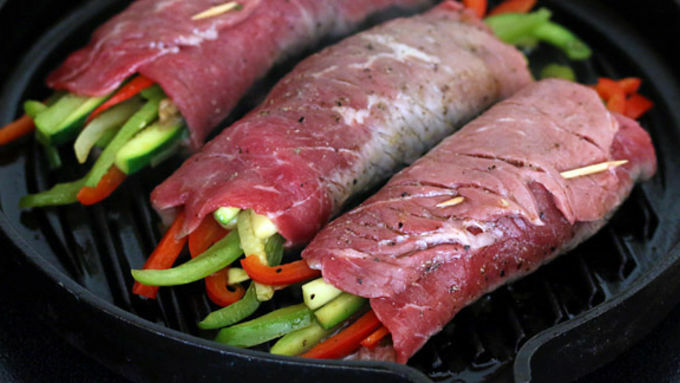 The rolls are perfect when grilled outside, and fried indoors in a pan or a ribbed cast iron skillet. I live in Washington state, so guess what I opted for? You got it. Who wants to grill outside when it's raining? Let's just say that I make good use of my ribbed cast iron skillet. The glaze is out-of-this-world amazing. 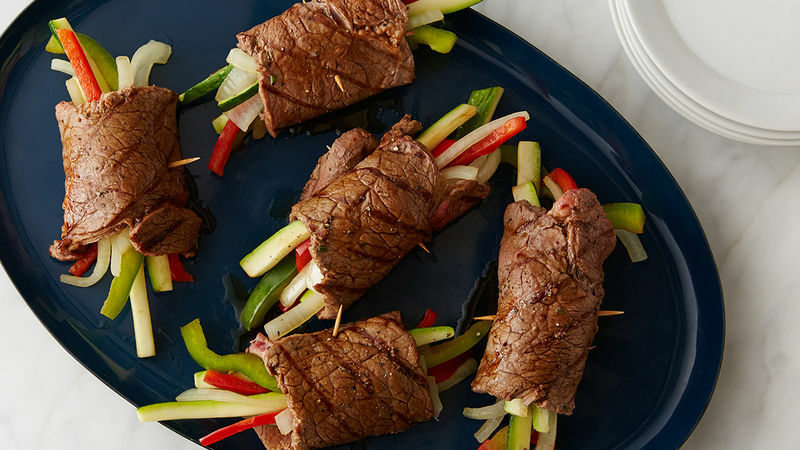 Drizzled over these grilled steak rolls, you're going to fall in love – and so will your lucky guests.